* Early morning collection from your hotel by safari vehicle. At the launch site the guests will be met by the pilot and crew, who will proceed to give a briefing. Guests will then embark on a 12 passenger basket and commence on an unforgettable experience that lasts approximately an hour. 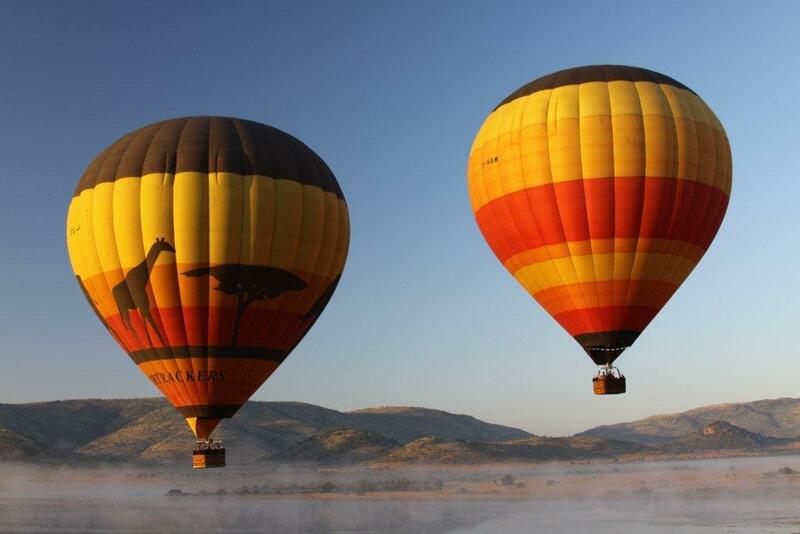 This will undoubtedly be the finest way of viewing the inhabitants of the Pilanesberg National Park. On landing, guests will be served with sparkling wine and orange juice in celebration of the flight. 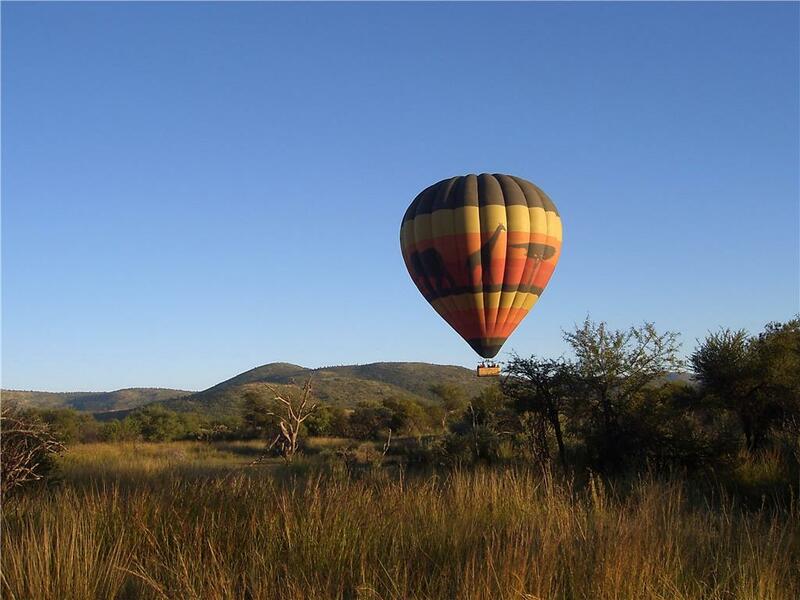 The qualified field guide will then convey the guests through the Pilanesberg National Park to a private lodge, where a full English breakfast will be enjoyed. Each guest will then receive a first flight certificate issued and signed by the pilot. On completion of breakfast, the guests will be returned to their respective hotels. The total duration of this activity is approximately 4 to 5 hours. This activity is extremely weather dependent and a minimum of 8 pax is required to fly. It is advisable that guests book 2 or 3 consecutive mornings as a back up plan. For safety reasons, children less than 1.2m tall are not permitted to fly. Guests are to be reasonably fit, as they are required to climb into a 1.2-meter high balloon basket and be able to crouch down on their haunches on landing. You can have your wedding in a hot air balloon...will make for one hell of a story to tell your grandchildren.